Is it time to introduce EV Charging at the office? As the EV revolution rolls on and picks up steam (remember that!) in 2018, more and more businesses are looking into what will be required to keep up. As it is clear that hybrids will be the first step for the majority of adventurous drivers, a lot of new hybrids come with the ability to be plugged in. So, you are surely asking yourself, why not use the little EV engine in a hybrid to reduce your CO2 emissions each and every commute to work you do. Then, building on that, why not have chargers installed at work so you can drive home, or least partly home, on the EV tank again. To entertain these thoughts, the best place to start is to try and answer a couple of questions. 1. Do you have a genuine need or at least potential for having EV charging at work? The answer to this one should be quite easy. Do you drive a hybrid, or does anyone at the office drive one? If they do, there is a good chance it can be plugged in. If it can be, then the answer to the question is yes. Moving on. 2. Think ahead, what does that mean? 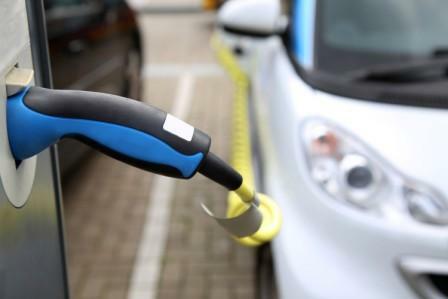 The answer to this question is when EV charging equipment is installed, there are several prerequisites needed. In some cases, things like ground works and circuit board upgrades are needed and in others, the job can be very basic, with some drilling and screwing being all that has to be done. Either way, you will need to know if your electrical supply can handle EV charging and don't forget to ask, while you are at it, how many charge points are required. You will need to know if ground works are required and if things like conduit need laying. Finally, you will need to know what the whole thing is likely to cost. We have been watching the trends of EVs around the world and in some parts of the world, EV charging is actually used as a lure to new employees and to some, EV charging is almost becoming expected. Considering we in the UK, well largely, are still catching up with such trends, it isn't hard to imagine that we will catch up and hence, it could be worthwhile thinking about how EV charging will be something that develops from appearing once on a balance sheet when you paid, what you might have thought was a pricey installation fee, to becoming part of all transport related aspects of your business and need we say, your personal life too. The Fully Charged Show is a great place to keep up to date on everything EV!